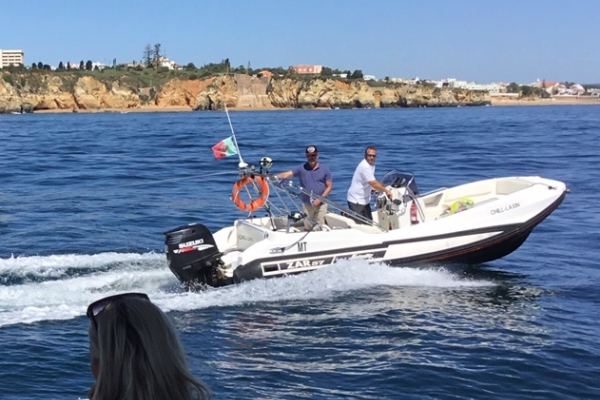 Enjoy the Algarve in style on board the luxurious Fairline Targa 43, with lovely local wines, cold beers and refreshment and appetising snacks. Paddle boards, snorkels and flipper are complimentary on board. We supply Paddle board, banana boat, wakeboards and skis on request for an additional cost. Ideal for lying on the cushioned forward deck with a nice glass of wine or chilling out on the specially designed sun bed area with seats at the back. 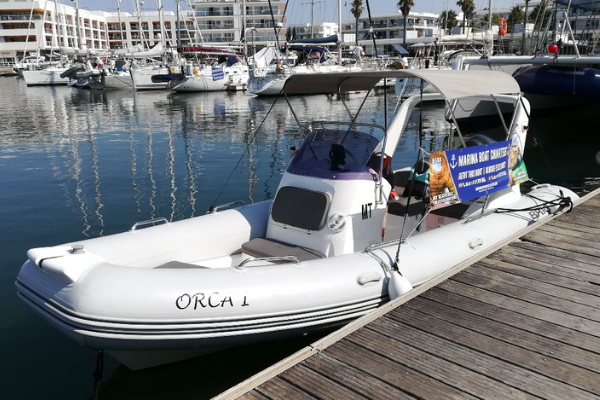 This Rib is perfect for cruising along the Algarve coast line, viewing the caves and grottos. 150 hp engine will get you anywhere with time to spare. The BRIG Eagle 645 is a luxury family cruiser with a sleek, iconic profile thanks to the signature radar arch and stylish design – it is a class above. Whether you’re at the helm or are along for the ride, every inch of this 23′ beauty speaks of its nautical prowess. We offer More Than Just Lagos Boat rentals. We can arrange for you to visit two of the best positioned highly recommended Restaurants in Alvor or Ferragudo as part of your trip. 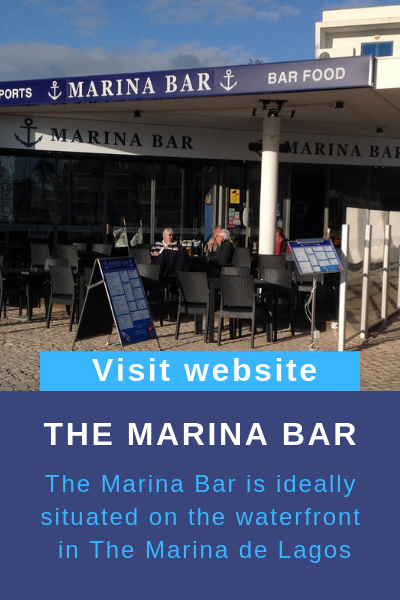 Why not try breakfast “the best breakfast in town” at the Marina Bar Lagos and lunch in Alvor? We offer a personal service so if you have something special you’d like us to arrange, ask and we’ll do our best to make it happen. 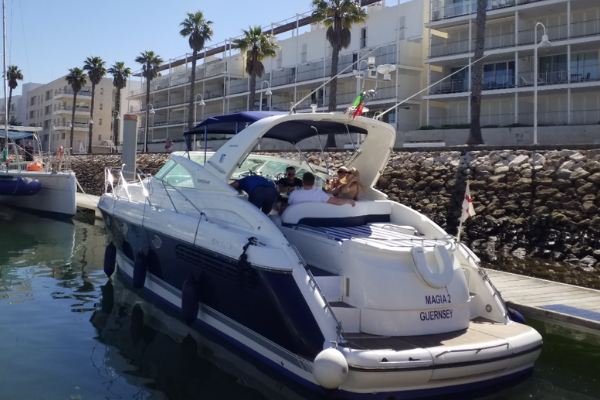 Marina Boat Charters Lagos Algarve, quality Algarve boat rentals. 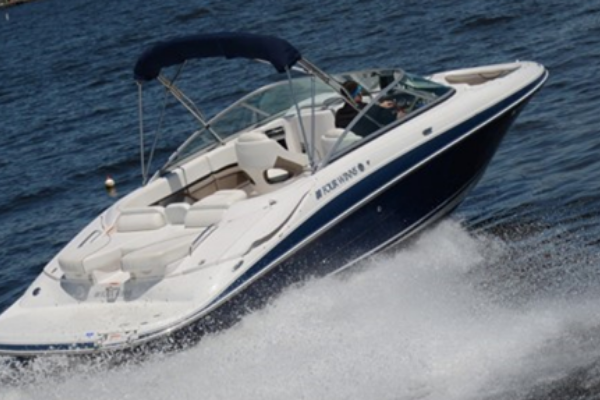 We provide our customers with the best boat charter experience which is both fun and memorable. We have many years experience in Boat Charters here in Lagos and offer all kinds of specially tailored trips to suite all tastes.